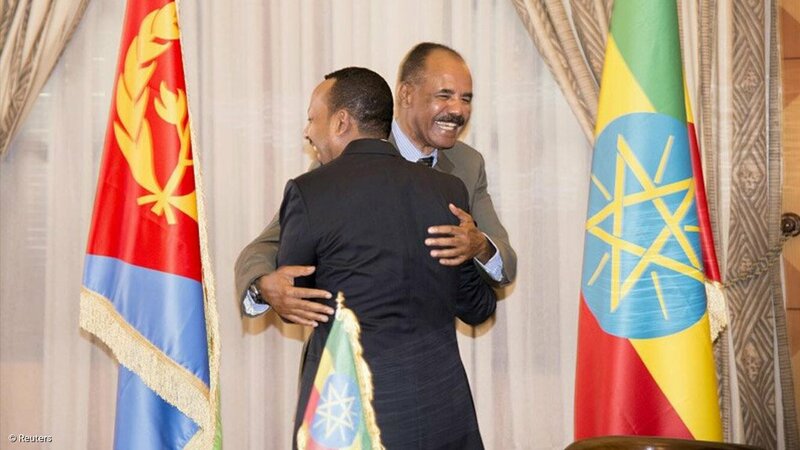 South African President Cyril Ramaphosa has welcomed the resumption of diplomatic relations between the Federal Democratic Republic of Ethiopia and the Republic of Eritrea, following the announcement made in the Eritrean capital Asmara on Sunday by Ethiopian Prime Minister, Abiy Ahmed Ali, and Eritrean President, Isaias Afwerki, that they would open embassies in each other's countries. Ramaphosa lauded this as a positive outcome following developments in the relations between the two countries, including the commitment and implementation of the Algiers Agreement of 2000 and the Ethiopia-Eritrea Border Commission (EEBC) of 2002. "South Africa looks forward to a full normalisation of relations and the realisation of our shared aspirations for both countries to enjoy enduring peace and development," said Ramaphosa, adding that Pretoria would support the path of reconciliation between Ethiopia and Eritrea which has the potential to yield greater prosperity and security, not only for the citizens of both countries, but also for the greater Horn of Africa region and the continent as a whole.